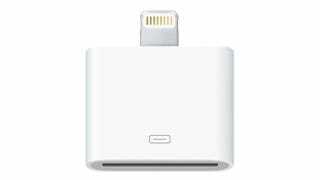 Apple's decision to change the iPhone's connector to the new Lightning standard has been ruffling feathers, not least because the adapter required to use it with old accessories costs $30 and doesn't support video. Fortunately, the phone will be shipping with a converter in the box. UPDATE: The Next Web is reporting that this might be "an error" on Apple's part, and that the adapter may in fact NOT be shipping with the phone. The issue is "being investigated at the moment", so stay tuned! Something Bad&apos;s Going To Happen In That Crypt, Huh?